Once again I have been catching up on responding to lots of comments here on the blog and on the main Rewards Canada website after 10 days of vacation. Lots of those comments were on our American Express Cobalt Multipliers page as the Rewards Canada community continues to contribute plus I added in lots of locations from my family's travels over the past few weeks. Check it out today as the list of confirmed 5x/2x/1x merchants in Canada and globally continues to grow! It is almost getting too big so I am open to suggestions on ways that we may present the merchants in a better fashion or let us know if you are fine with the current set up! 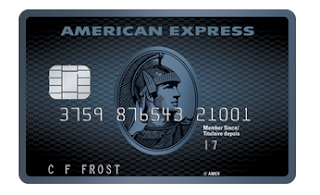 Check out the American Express Cobalt Card Confirmed Multiplier Locations page today! You can get 80 bonus AIR MILES Reward Miles if you spend $50 or more at Rexall today or tomorrow with this coupon. Air France has put flights to North Africa and the Middle East on sale from Canada. Book by April 20! Find out more here!